Are you wondering whether to go with the De’Longhi Nespresso Expert Espresso Machine or with the Breville Nespresso Essenza Mini? Well, we understand it can be really confusing at times to choose between two bestselling models like this- and that’s exactly why we are here! Here at Gamble Bay Coffee we try to bring to you the right comparisons where we explain which model is the right one for you and when. In today’s article, we are going to take a look at the De’Longhi Nespresso Expert Espresso Machine and the Breville Nespresso Essenza Mini Espresso Machine and find out the main differences between the two. We are also going to explain when you might wanna go for which one. So, we hope you would read the article to the very end and find something that would help you choose the right model for yourself! So, let us get started without further delay. The De’Longhi Nespresso Expert Espresso Machine is one of those models that you really cannot appreciate until you look at the features of this model. Honestly speaking, this model has a really attractive look, but it is even more advanced when it comes to functionality! This makes it really important to consider all the features of this model even if you’re planning to go for another model- because this model might just change your mind! This model has a really attractive look and would really make any kitchen look more beautiful. However, this model also has a comparatively larger size that makes it a little harder to place on counter-tops. So, that’s something you might want to keep in mind while going for this model. This model is also really advanced when it comes to functionality. It provides you with four cup sizes such as the Americano, Espresso, Lungo, and Ristretto. Another thing this model takes lead in is the amount of features it offers you. There is even an extra hot water spout that comes with this model, making this model the go-to model for most people! This model also boasts of three temperature settings such as Medium, Hot and Extra Hot, letting you prepare your coffee exactly in the way you want to! One more thing this model does is that it makes it easier for you to keep an eye on it with intuitive LED alerts, making this model a comparatively simpler one to keep an eye on and ultimately use. Finally, all these models do actually come to you for a price. One of the main complains against this model is that it is too expensive- and this is partially true, because it sure is an upper range model. However, that is somewhat justified by the fact that this model provides you with such a high level of functionality and versatility. 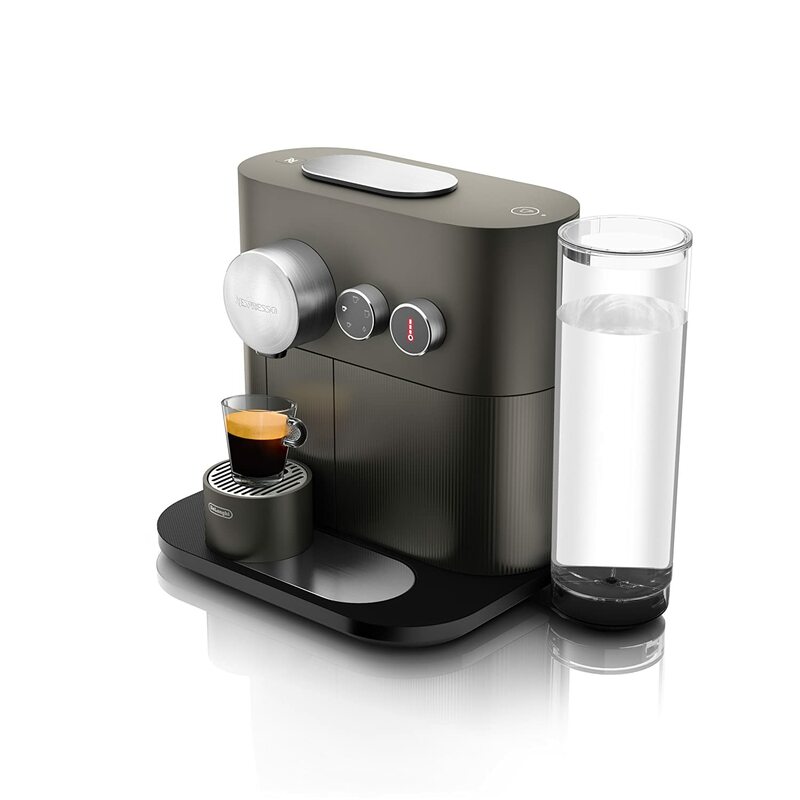 What are the main features of the Breville Nespreso Essenza Mini Espresso Machine? The Nespresso Essenza Mini Espresso Machine by Breville is yet another model from the Breville line of products that is truly loved in the market. If you don’t know, the Breville line of products is known for making products that are really functional and these products are really loved in the market. The Breville Nespresso Essenza Mini Espresso Machine boasts of two programmable coffee sections for preparing Espresso and Lunge. 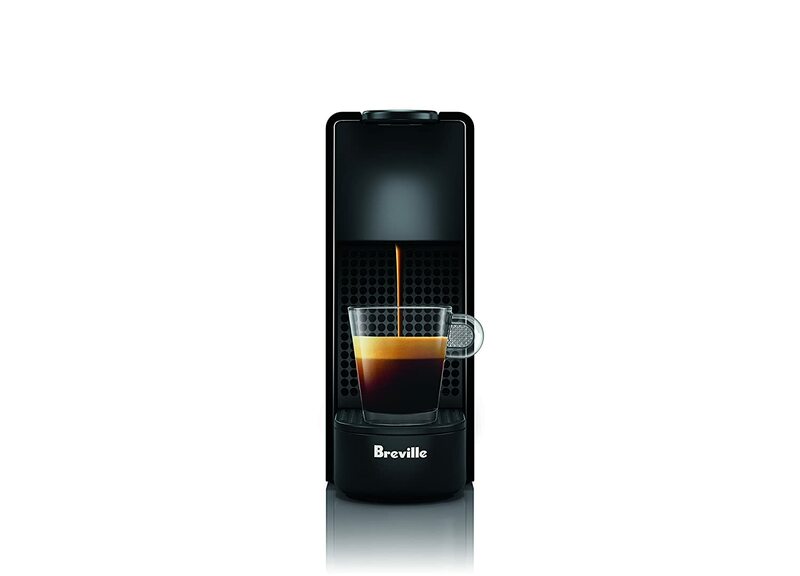 This machine also boasts of the Centrifusion technology that Breville Nespresso Makers are known for, providing you with the perfect flavor for your Espresso just like the Nespresso Vertuo Coffee and Espresso Machine by Breville. This machine is also really easy to clean, that is something that has been kept in mind during the designing of this model. Finally, this is one of the more affordable Nespresso Makers out there. While it still might not be the most affordable model, it still is a lower mid range to low range model that is pretty much affordable for almost everyone. What are the main differences between the two models? It is really easy to get confused as to which one to buy because there are so many models out there. However, these two models are not exactly the same and as such, if you keep your needs in mind, it is possible to find out which one would be the better choice for you and when. First of all, the size of these two models are different. The Essenza has the right size but the Expert is a little to large and you might have a little trouble properly putting it up on the counter-tops and all. So, that is something you should keep in mind. Next in line is the fact that the Expert is ahead of the Essenza when it comes to functionality, the Expert provides you with four sizes while the Essenza provides you with only two options. The Expert is also ahead when it comes to features and this can easily be shown by the fact that it has an extra hot water spout while the Essenza does not provide you with anything like that. The temperature setting is yet another extra perk that you get with the Expert, where you have three options to choose from. The Essenza does not provide you with any choice in this regard. Finally, the Economic Factor must always be considered. The Essenza is a lot more affordable than the Expert, making it one of the models that are bought much more in comparison despite the fact that the Expert actually gives you much more functionality, features and even versatility. Verdict: This is purely a case of economic ability; If you have the money and want a model that would serve more of your needs, the Expert seems like a better choice. However, if you’re looking for a comparatively affordable model, the Essenza seems to be the right one for you.